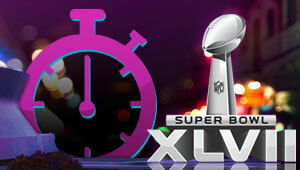 It's already time for the Super Bowl. Whether you're a 49ers fan, a Baltimore fan or a bitter Saints fan (ahem, not me...), Sunday is sure to be a big day. If anything, at least New Orleans is ready to party! If you're attending a party, do your part to make it green! Offer to bring a bin for recycling materials if the hosts don't have or use their own. Bring your own cup or glass for your drink, instead of using a disposable one. If you're bringing food, bring it in a reusable container. Then make sure to rinse and recycle that disposable dinnerware! If the NFL can work on being greener, then of course you can green your Super Bowl Sunday! Now, if you'll excuse me, I'll get back to being a bitter Saints fan, and wishing I could hightail it to New Orleans for the weekend.